UPDATED: Fri., June 15, 2018, 9:27 p.m.
Full reports of investigations into police misconduct, including body camera footage, could be posted online under a new law proposed by Spokane City Councilman Breean Beggs. The ordinance would give those requesting records of internal affairs matters, officer-involved shootings and uses of force by police the option of having the information posted directly to the city’s website, rather than receiving them as an individual. The release would occur after redactions had been made under the state’s public records law. 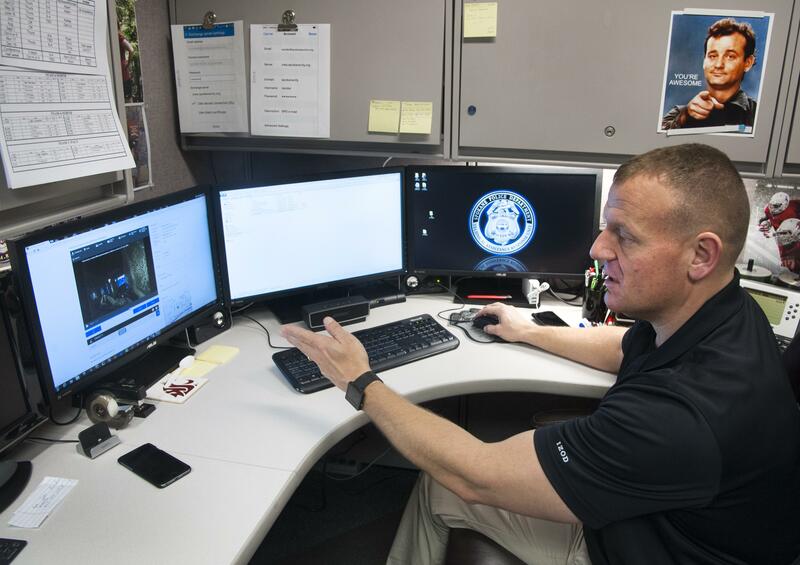 Beggs said the proposal, which has the backing of the police’s ombudsman, would save the city time and money, as well as provide greater transparency from the department on cases drawing the most public interest. It would also provide more information than the summaries of investigations that are currently posted online, which Beggs said are inadequate in some cases. “The ombudsman has been expressing to me concern about moving from posting the full IA investigation to these summaries, because sometimes there’s some daylight between them,” Beggs said. The department had posted full internal affairs investigations online up until spring 2016, except for cases involving juveniles. The department’s website now posts one- or two-page summaries of closed cases that don’t identify the complainant or the officers involved. Beggs’ proposal has received some resistance from within the police department over concerns about the privacy rights of citizens making complaints. The law includes provisions that will allow complainants to request anonymity. MacConnell said there are still some details in a report that could identify a person, even if their name isn’t used. In addition, those who make their complaint through the Office of the Police Ombudsman may request that the complaint not be posted online. That request can’t be made if the person makes the complaint directly to the police department, which is one of the ways an investigation is launched. Beggs said that difference is intentional, because he believed the department might encourage complainants to opt against online publication, based on the concerns they’ve raised about putting the records on the internet. MacConnell disputed that the summaries of investigations posted by the department were inadequate, and said her preference would be to also post overviews of the department’s use-of-force investigations, which are currently posted online in their entirety. In cases where there are concerns about the summaries, the ombudsman can already request that the department revisit them, she said. “If we needed to make changes, we would,” MacConnell said. Beggs’ proposal includes a commitment from the City Council to pay for an additional records clerk, if one is needed to process and publish the requests online. But he believes the workload will actually decrease, because instead of responding to multiple people asking for the same records, the city would post them online for everyone. The councilman said he’s had discussions with the Spokane Police Guild, which has requested the ability to discuss any issues that are required to be collectively bargained. That may lead to letters of discipline for an officer not being posted online as part of the records release. “In general, anyone, I think, as an employee is going to have concerns about complaints about them, or investigations being posted online. We’re balancing between the various interests, and I think it’s more important for transparency, in my judgment,” Beggs said. The full City Council is scheduled to vote on the ordinance at its meeting July 9. Published: June 15, 2018, 5 p.m. Updated: June 15, 2018, 9:27 p.m.